These hotels are nowhere near as amazing as sleeping out under the stars like you do on our treks, however they do offer a comfortable and relaxing stay before and after your tour with us. just minutes from the delights of Adelaide’s Central Market – perfect for sampling South Australia’s wonderful fresh produce. To book discounted accommodation at the Adina Adelaide Treasury click on the button below. • Select the hotel from the drop down box. • Click on the “Special Codes” box. • Select your accommodation dates. • Ensure the promotional code “TH8385391” is included in the Promo Box. • The discounted rate for Trek Tours Australia guests will automatically be shown. Situated on the banks of the famous Todd River, within walking distance to town, the Mercure Alice Springs Resort offers spectacular views of the towering River Red Gum. Well-manicured lush green lawns of the hotel create a relaxing atmosphere, letting you soak in the Australian Outback charm in the Northern Territory (NT). For discounted accommodation and a priority service, the Mercure Alice Springs Resort welcomes Trek Larapinta guests. 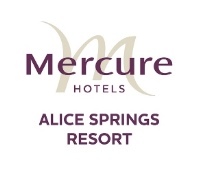 To book accommodation contact the Mercure Alice Springs Resort directly. When booking don’t forget to mention “TREK LARAPINTA”. When booking accommodation in Alice Springs a great option pre/post tour is the Aurora Hotel which is comfortable, centrally located and moderately priced. There is a discount on accommodation for all Trek Larapinta guests. This discount does not apply for phone or email bookings. To take advantage of this great offer click on the button below. • Enter the word “TREK” in the box under “do you have a promo code?” (near the bottom of the screen). •Then click “search availability” (the discount is then automatically applied). Located in the heart of Darwin’s CBD, Travelodge Mirambeena Resort Darwin is an inner city oasis, close to everything in town whilst providing privacy in a lush setting. Designed around resort-style pools and a waterfall, the hotel has a tropical feel and offers good leisure, dining and conference facilities. Adina Apartment Hotel Darwin Waterfront is perfectly positioned amongst waterside restaurants and the family friendly wave pool and lagoon on Darwin’s seafront promenade. It is only a stone’s throw away from the Darwin Convention Centre and within walking distance of the CBD. Trade in tradition for a fresh and vibrant accommodation alternative at Vibe Hotel Darwin Waterfront. The rooms are stylish, the food is delicious and the location provides the best that Darwin has to offer. Situated in the iconic Darwin Waterfront, nestled on the fringe of Darwin’s CBD, you will be perfectly positioned to explore the waterfront which features alfresco dining options, bars, a spa, boutiques, green spaces for relaxing and a family friendly wave lagoon. To book discounted accommodation at any of these hotels click on the button below.